We all like to think that we know what to do in the event of a fire. But the truth is that when this terrible event really does occur, it often causes panic and a complete loss of those fire survival skills we learned in school. 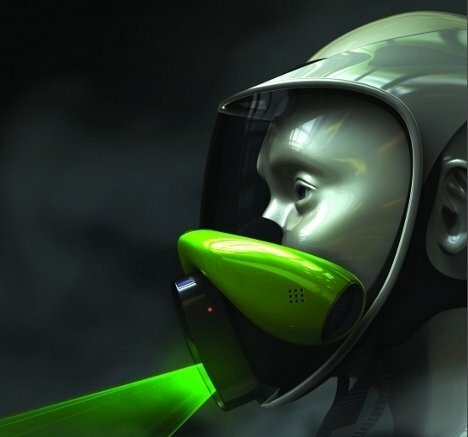 The Arrow gas mask is a conceptual product from designers at Jeju National University that would clearly show the way out in a fire. The mask is connected to a proprietary network that spans the building and connects to emergency personnel. A user just pulls on the mask and then pulls a string to activate it. A laser arrow is projected onto the floor, pointing the way to the nearest exit. 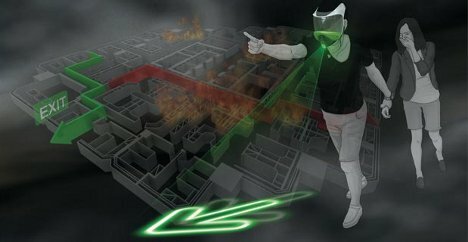 Since the laser cuts through the smoke there is no danger of getting lost in the low visibility. As the mask filters the toxic air, evacuation is made simple and the panic factor is removed from the escape effort.